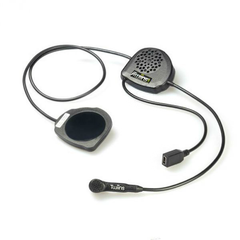 Click here to be notified by email when Twiins D3 Handsfree Bluetooth System becomes available. 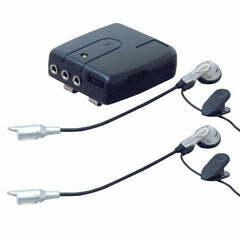 The Twiins D3 bluetooth comms system allows you to receive calls, and listen to high quality music all while you ride. It's sleek design makes it fit discreetly inside any helmet style and the high def dual speakers keep you in tune with what is going on in the outside world whether that's talking on the phone or playing music direct from your bluetooth mobile. Connecting the D3 with the D2 or D1VA opens an intercom connection for you to chat with your pillion without having to buy two D3 kits. Being at the top of the Twiins bluetooth range, the D3 still doesn't break the bank but gives you plenty of features all wrapped up in a tiny unit that gives 7 hours of talk time per charge.